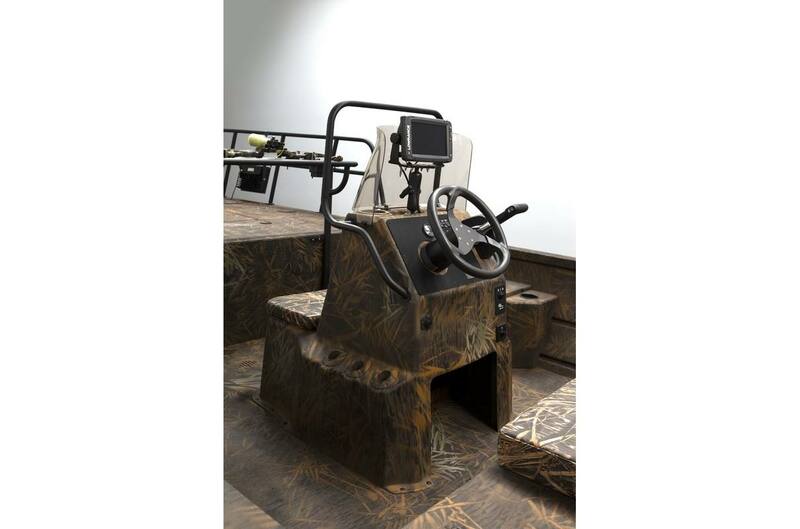 The Gator Tough™ 20 CC BowFish model allows the serious outdoorsman to combine hunting and fishing in order to follow his passion for rugged adventure day or night. 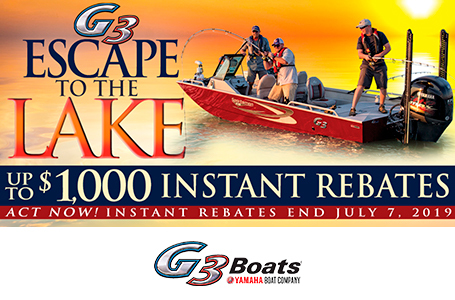 Experienced bow anglers will confirm that nothing matches the feeling when an arrow flies true to its target and dark water swirls to conceal, just for a moment, the size of the prize. 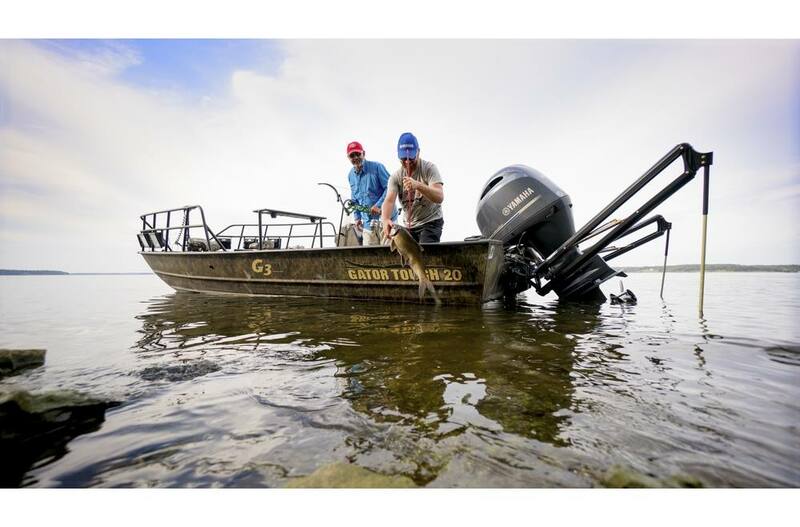 Monster gar, massive carp, catfish, snakeheads, alligator, redfish, and many more species provide the thrill of the hunt. 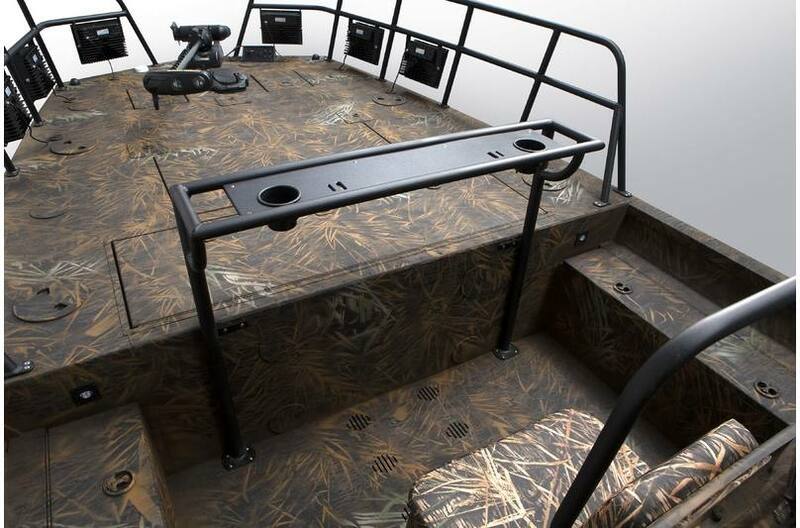 The rugged front deck construction is welded .125 aluminum, and includes a 65 gallon, dual-aerated livewell, fish prep table with tool slots and cup holders. 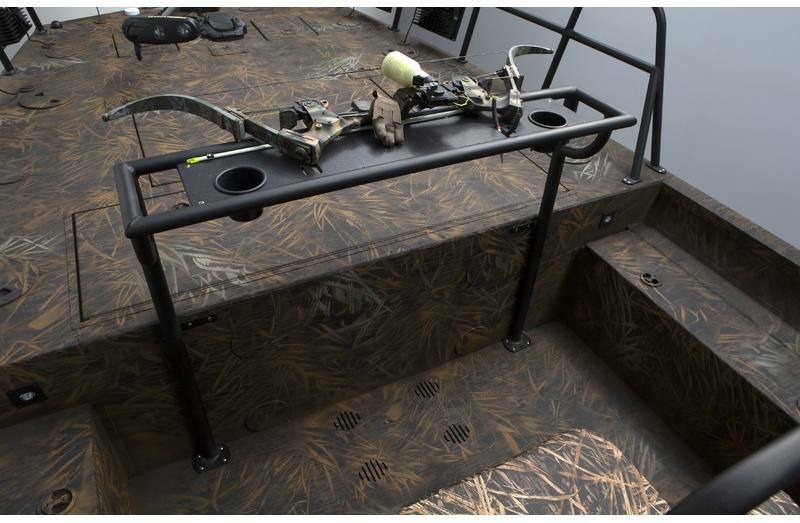 Specialized storage includes a bow rack in the lockable deck box. Prep table keeps necessities close at hand. 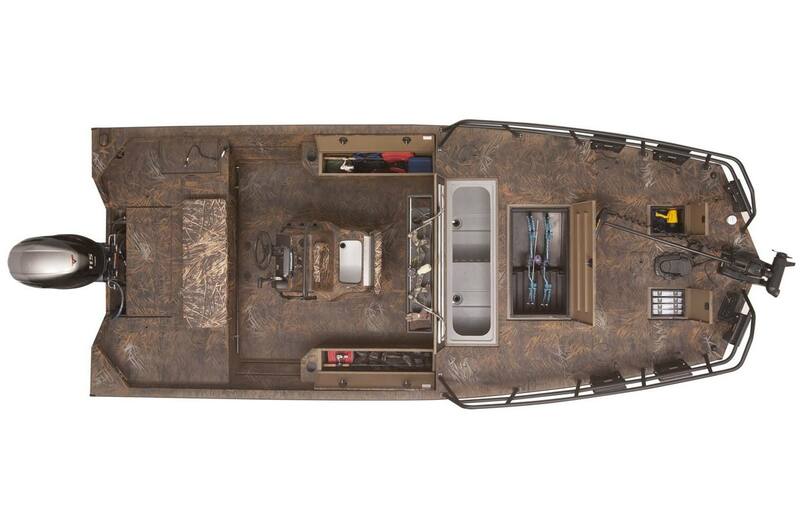 Center console design allows for maximum room along both sides of the boat. 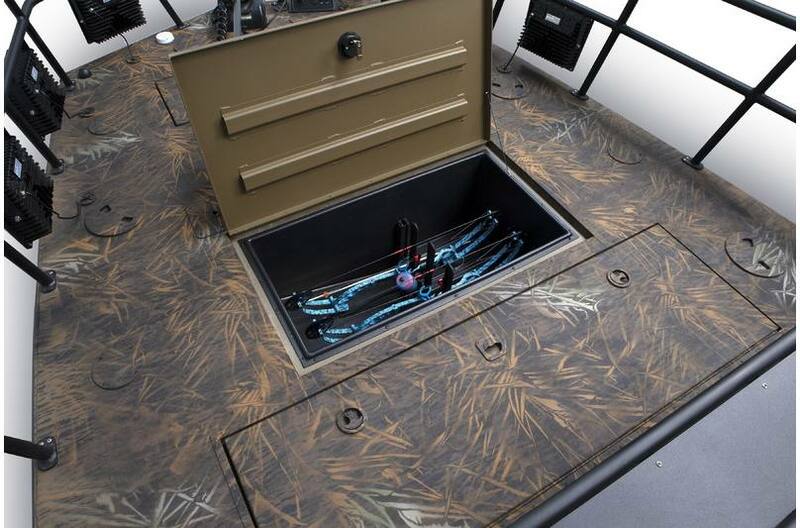 14 gallon livewell doubles as an extra passenger seat, and storage for rods and extra gear adds to the versatility of this command center. 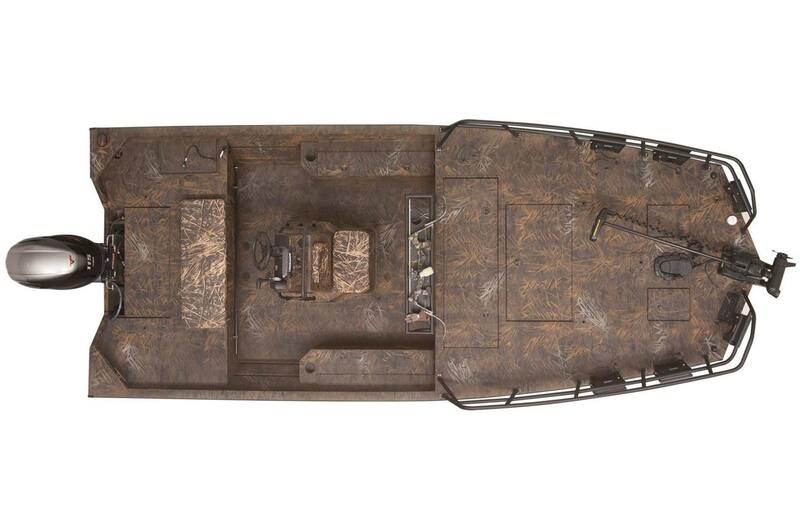 Boat Length: 20 ft. 6 in. Package Length: 25 ft. 6 in. 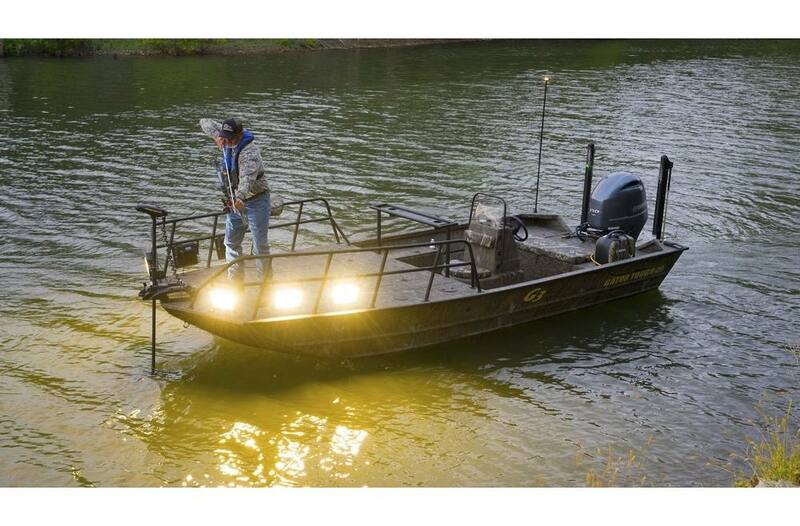 Dry Hull Weight: 1750 lb. Livewell Dimensions: 15 in. x 20 in. - 14 gal. 16 in. x 62 in. - 65 gal.